The National Health Insurance Authority, the Regulator of Private Health Insurance Schemes in Ghana under the National Health Insurance Act, 2012 (Act 852), wishes to inform the General Public and all Healthcare Service Providers that apart from the under listed Licensed Schemes, any other Institution, Firm, Company, or Individual(s) purporting to offer health insurance services is unlicensed and in violation of Section 63 of the National Health Insurance Act, 2012 (Act 852). Any person who transacts business with a Private Health Insurance Scheme other than those licensed in line with the above law, does so at their own peril. 1 Acacia Health Insurance Limited Address: No 5 Asoye Lane, East Legon. 6 Kaiser Global Health Limited Address: No. 10 Swaniker Street,Abelenkpe - Accra. Section 63 (1) of the National Health Insurance Act, 2012 (Act 852) states that “A person shall not provide private health insurance service or operate a private health insurance scheme unless the scheme is registered with the Authority and issued with a licence. A Private Health Insurance Scheme shall conduct business with only National Health Insurance credentialed providers. 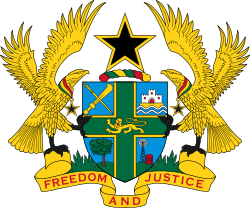 A resident of Ghana shall belong to the National Health Insurance Scheme and may belong to a private health insurance scheme. A contract of insurance for the provision of healthcare services entered into between a person and a Private Health Insurance Scheme is a private contract governed by the laws of contract of the country. 2. Develops and disseminates guidelines for operating private health insurance schemes in consultation with relevant bodies. 3. Regulates to ensure compliance with National Health Insurance Act, 2012 (ACT 852), the PHIS Guidelines, other applicable enactments and industry best practice. 4. Prescribes through the Minister, minimum healthcare benefits to schemes where necessary. 5. Provides a bureau to which members of the public may channel their complaints for resolution. 6. Supervises and approves transactions between insurers, intermediaries and reinsurers. 7. Engages media to sensitize the general public on private health insurance. 8. Take action against any person carrying on insurance business or the business of insurance intermediaries without a licence. © NHIS. All Rights Reserved.